Thanks to the members of the Chippawa District Association I’ve been reminded that the real Laura Secord home is in Chippawa. I drove to this Niagara Falls suburb to take another look at the home that Laura Secord lived in for 27 years before she died here in 1841. 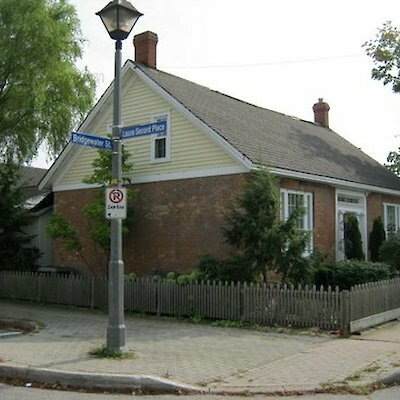 This lovingly restored home is just off the main street at the corner of Bridgewater and Laura Secord Place. In case you’re not aware Laura Secord and her husband James in 1814 originally lived in Queenston. Laura overheard American officers talking about an impending attack upon the British at DeCew House. Being a loyal United Empire Loyalist she felt it her duty to warn the British of the attack. She was successful in delivering the news to British officers after walking 32 kilometres (19 miles) through swamp and bush and the attack was repelled. The 201st anniversary of this famous walk will be commemorated next year on June 22nd by Friends of Laura Secord. I’ve attached a few photos of the restored home. 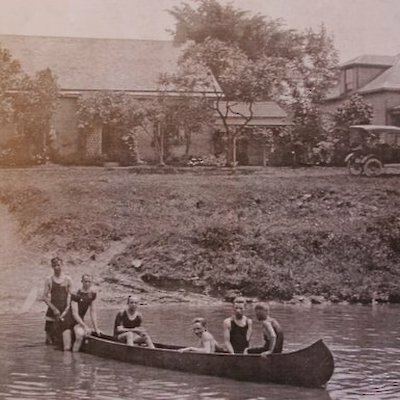 There’s also a photo of a number of people in a canoe in the Chippawa Creek. The original Chippawa home of Laura Secord is in the background supplied by the Chippawa District Association. Laura Secord actually passed away in 1868 not in 1841.